Building a giant monolithic application is proving not to be the most efficient approach for software solutions. The new thinking in software architecture is based instead on microservices, individual components that work together to provide the capabilities of a full-featured application. Microservices make it possible to build applications that would have been impractically large and consuming vast resources using previous techniques. Each runs its own process, using lightweight communication processes to connect with other services in the application. Microservices are independent, typically accessible via APIs, often built around specific business needs and deployed automatically. This architecture lets customers pick and choose to design flexible solutions that include only the capabilities they need at a particular point in time. When combined with a platform-as-a-service such as the CalAmp Telematics Cloud™, microservices offer adaptability and linear scalability. One example is the insurance telematics service CrashBoxx™, which is now available on CalAmp devices, if a customer adopts this service. CrashBoxx is a highly reliable collision reporting service that provides businesses with faster, deeper and more actionable insights into crash events in near real-time. The service provides instant notifications as well as detailed collision reports to reconstruct what happened during a crash and can help determine in near real-time whether a crashed vehicle is a total loss or repairable. Broader access to CrashBoxx data will allow customers to provide timely assistance to drivers, expedite the repair process and analyze liability associated with collisions. When an incident occurs, an immediate automated push notification is sent to the account administrators to let them know the relative location, date and time of the crash. Because CrashBoxx is an independent microservice, customers can choose to add it on at any time to help automate roadside assistance and claims processing. The ability to switch individual services on and off in a connected application suite, such as insurance telematics, hands control over to customers who then tailor their solution(s) precisely to their needs. In addition, APIs make it easier for integrators and other developers to use microservices in the creation of new, custom solutions. This architecture makes specific capabilities available to work together in concert. 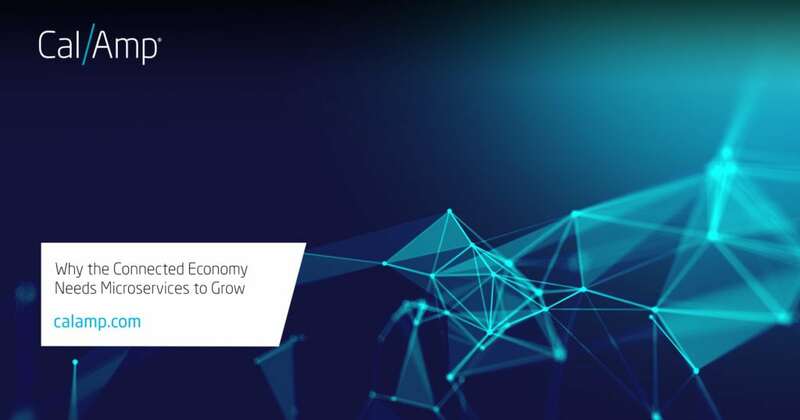 The result is sophisticated, customizable applications—that will drive growth in the connected economy. To learn how CalAmp can help you tailor a solution, visit our CrashBoxx update here and our CalAmp Telematics Cloud page here.